In this regular feature, we profile ALSC Board members. We hope to offer information about the people who work to guide the organization so that you can feel more comfortable in reaching out to them with your concerns, questions, or comments. 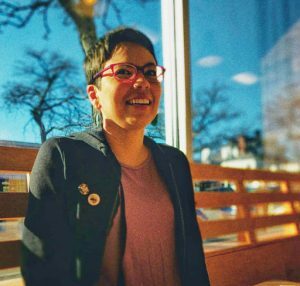 To continue this series, we invite you to meet ALSC Board member, Sujei Lugo. 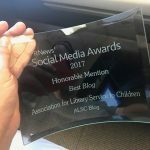 Why did you join ALSC? Do you belong to any other ALA divisions or roundtables? 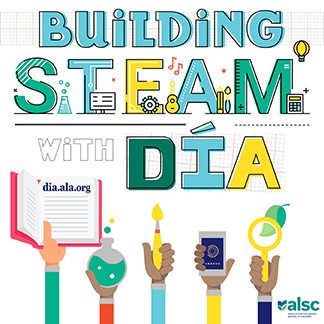 I’ve joined ALSC to connect with other youth library workers and learned about their projects, work and experiences. I got more involved with ALSC acting as REFORMA representative for different committees and working groups. I’m grateful for mentors like Oralia Garza de Cortés, Loida Garcia Febo, and Dr. Claudette S. McLinn for their words, support and guidance in navigating ALA and ALSC leadership spaces. In addition to ALSC, I’m also a member of REFORMA and the ALA International Relations Committee-Américas Subcommittee. What strengths do you bring to the ALSC Board of Directors? Although I still feel newish to ALSC leadership, I’ve been involved in leadership roles for different organizations such as REFORMA, Sociedad de Bibliotecarios de Puerto Rico, Progressive Librarians Guild-Student Chapter and other community organizations for around 15 years. Having experiences in discussing community-oriented topics, short-term and long-term projects, and sharing spaces with different type of people provided me tools and knowledge to bring to the Board. Also, I like to make questions, clarify ideas, and constantly remind everyone that our work is important for and impacts ALL children. What have you learned – or what do you hope to learn – while serving on the Board? I’m learning of different partnerships, projects and collaborations of ALSC, as well as all the different steps that are needed to make decisions, implement projects, ideas, etc. They have any concerns, questions, or comments about ALSC, the different committees and working groups. Non-members (potential ALSC members!) are welcomed to contact me to learn more about how the association works. I encourage members from historically marginalized racially and ethnically communities to reach out to me for mentorship, guidance, and/or to connect them with other youth library workers.